It’s not a surprise that the crazier life becomes around us, the more we seek out ways to alleviate the stressors we feel building. Maybe your goal is to feel less stressed, less reactive to the insignificant stuff, or gain focus. Perhaps you’ve decided to use meditation to further your personal development, or to improve your relationships with those around you. Whatever the reason may be, you’ve decided that meditation is the right direction to take. 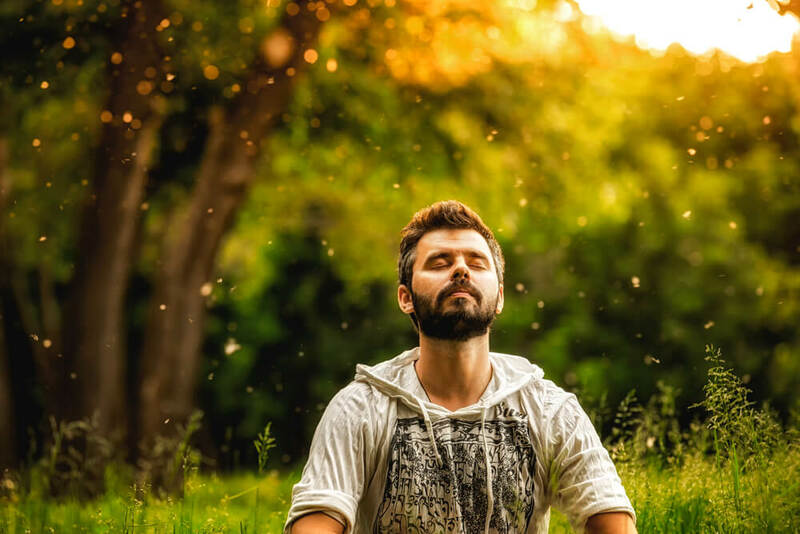 After all, meditation is defined as a technique to encourage yourself into a heightened state of awareness and focused attention. Let’s face it, we can all use more of that. Picture this. You sit down in silence, your only company are your innermost thoughts and feelings. All the emotions you’ve been carrying with you. You’re purposefully doing what seems like absolutely nothing. It may feel a little ridiculous. After all, the basic concepts of meditation are the things we actively seek not to do in our day to day life. Sitting with our thoughts can be a challenge we often resist, and clearing our minds of thoughts altogether can be even more difficult. It’s because of this that meditating as a complete beginner can feel awkward. Not only can it be difficult to ask our minds and bodys to “take a breather” so to speak, it’s difficult for us to wrap our minds around the very concept of doing nothing, but somehow finding balance. That idea alone can be daunting, but meditation is fairly simple and moderately straightforward. What we have to remember is that people from cultures all across the world have been practicing meditation for centuries. Many before us have undoubtedly felt like they were practicing incorrectly from time to time. We have to remember that meditating is in fact a skill, and as with any new skill, it’ll take time to feel proficient at it. In order to unlock and calm your mind, you’ll have to sit with it in it’s awkward, untamed stage. Meditation isn’t about becoming a new, or different person. It’s not even about becoming a better person. It is however about training your mind and body to be more aware. That extra consciousness will help you in finding a healthier sense of perspective in the world around you. Meditation is meant as a time to reflect and find a greater harmony within yourself. You’re not turning off your thoughts or feelings, you’re learning to eventually observe them without shame. Over time, this may even help you better understand them, and in turn yourself. It doesn’t hurt that there are some undeniable benefits to practicing meditation. Because of its simplistic nature, mindfulness meditation is a fantastic place for beginners to start. In this form of meditation, the idea is to take some time and activate the basic human ability to be fully present, aware of where we are, and what we’re doing. It’s not meant as a time to be overly reactive, or overwhelmed by what’s going on around us. While we can practice mindfulness at any point, in any situation, it can be pursued through proven techniques. “Mindfulness” can be used in a multitude of aspects of everyday life, whether your intention is to meditate or not. To be mindful you don’t need to change anything about who we currently are, but it does give us the potential to become far more transformative, both internally and socially. It allows us to really tap into what is affecting us, how we view ourselves, and how we feel overall. Best of all, it can be practiced by anyone, at anytime. Lastly, mindfulness is a way of living! It’s more than just a practice as it brings awareness and caring into everything we do. As our lives become increasingly complex and uncertain, try to bring things into your life that help you find moments of tranquility and clearity. Find or create a space in your home that gives you a sense of calm, and then get started! Take a seat. Find a place that gives you stability. Try not to lay down (it’s easy to fall asleep). Find your posture. Be aware of what your upper body is doing. Sit up straight, get comfortable. Keep your arms parallel with your upper body. Let your chin drop slightly, and your gaze to fall downward naturally. Relax. Just let yourself be there for a few moments. Keep the increments of time short at first. 3 to 5 minutes is a good place to start. Remember your purpose! Be mindful, paying attention to the sensation of breathe in your body. “Follow” your breathing. It’s not uncommon for your mind to wander. When you notice this happen, try and bring your thoughts back to only your breathing. Try not to overwhelm yourself with the content of your thoughts. If your mind falls away from your breathing, simply find your way back to it. That’s the practice. That’s it! It’s rather simple, although not necessarily easy. Remember, this is a new skill, and as such it’ll take time to fully grasp the concept. Give yourself time and make the effort to practice. Have confidence and be mindful in whatever way you see fit, eventually the energy you put in will yield results. Good information over meditation.Meditation is really important for recovering addict.